SAN FRANCISCO – Customers visiting the new Delta Sky Club at San Francisco International Airport will immediately notice unobstructed views of the runway leading out to the bay. The redesigned San Francisco Club represents a renewed thinking behind the airline’s customer experience on the ground and features localized touches designed to provide a meaningful, inviting environment for Club members and visitors. Delta has invested millions of dollars to enhance the look, feel and tastes in each of its 50 Sky Clubs around the globe. For more than a year it has been actively reinventing, renovating and revitalizing the Delta Sky Club experience. 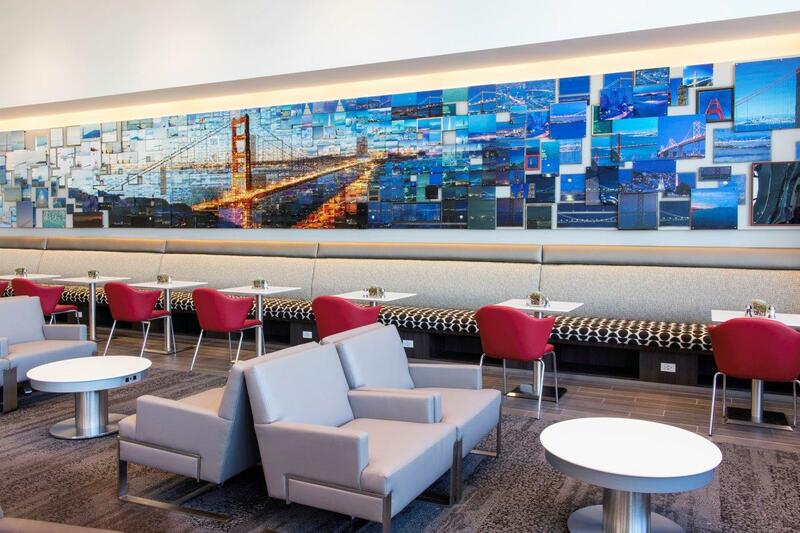 From a chef-designed food-for-purchase menu to modern décor seating to locally inspired art and premium drink offerings, the San Francisco Club reflects the airline’s commitment to creating a more thoughtful airport environment. The San Francisco market is home to a strong and discerning customer base. Delta has recently grown its shuttle service between SFO and LAX as well improved the product onboard its transcon service to New York-JFK with flat-bed seating in Delta One and more space in comfort+. Delta will begin using a larger, widebody aircraft on this popular route later this year. For a closer look at the SFO Delta Sky Club by the numbers, click here. At more than 9,000 square feet, the new SFO club is twice the size of the previous club and is now positioned behind the security checkpoint, so customers will benefit from faster, more convenient access to gates for boarding flights. The beyond-security location also means customers can spend more time in the SFO Club working or relaxing. The new SFO Club features calming bamboo accent walls, LED lighting and food served on modern china, which not only adds to the Club experience, but also reflects architectural features that make the location Delta’s first LEED Gold Certified Club, aligning with the company’s goals to support sustainability and positively affect customers' health. The comfortable and modern environment serves as the perfect backdrop for the Club’s locally inspired artwork, featuring a wall-to-wall mosaic of the iconic Golden Gate Bridge created by award-winning artist Charis Tsevis. His work anchors a number of other locally inspired pieces throughout the Club. 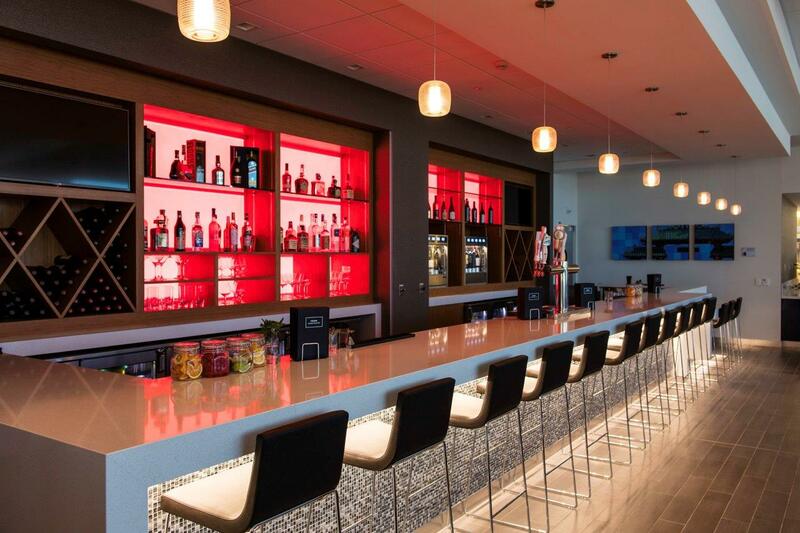 THE BAR at Delta Sky Club will offer a selection of premium spirits and feature complimentary, local IPA craft beer by Anchor Steam Brewing Company. Additionally, the Club features Starbucks coffee and an automated, self-service espresso machine. For a closer look in photos, click here. Delta’s Master Sommelier and Northern California native Andrea Robinson curated a wine selection that represents the best of Napa Valley, Sonoma, Monterey, Paso Robles and Livermore Valley. Customers can experience a taste of the region one glass at a time, or sample them all by ordering a single flight of wines. To round out the food and beverage lineup Delta engaged signature chef, Mai Pham, founder of one of the area’s most celebrated Vietnamese restaurants, Lemon Grass, to create a menu inspired by regional tastes. For the SFO Club, Pham has designed a fresh, colorful pan-Asian menu featuring traditional selections like chicken potstickers and hearty phō soup, as well as culinary fusions like Thai chicken flatbread pizza. Pham’s Lemongrass Lychee Martini and Icy Spicy Thai Basil Mojito are perfect cocktail accompaniments to the meal. The San Francisco Club continues to offer the classic comforts, including outlets near every seat, Wi-Fi, TVs, magazines, private work areas, comfortable seating, personalized flight assistance and two shower suites. The updated menu includes Greek yogurt, fresh bagels, hot soup and tasty salads. Delta is committed to improving the customer experience, and in the coming months expects to achieve a more consistent level of products and services that complements each Sky Clubs’ regional look and feel. A video highlighting customer's reaction to the new Delta Sky Club at SFO is available here.